Those wishing to enjoy a unique shopping experience in Florence should pay a visit to the historical Luisa Via Roma, the home of luxury and fashion. 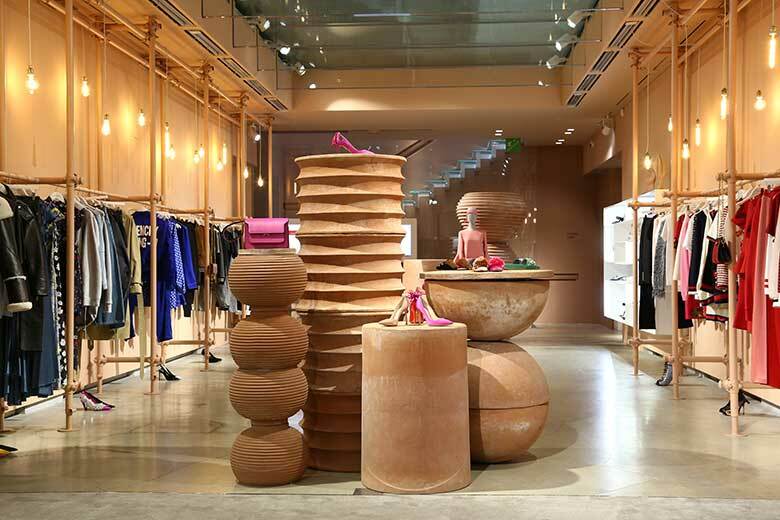 Luisa Via Roma was founded in the early 1930s by Luisa Jaquin, and her imagination and later that of her grandson, Andrea Panconesi, have turned this high street boutique into a landmark for lovers of fashion and luxury the world over. It earned its fortune to begin with by scouting emerging stylists who would go on to dominate the pantheon of global fashion (they were the first to bring an unknown Kenzo to Italy in the late 1960s). The next happy move was to open an online boutique in 1999, when few people were willing to take the risk of buying on the web. Today Luisa Via Roma is a global powerhouse of e-commerce with 5 million visitors a month, and its Florence store also offers a digitalised purchasing experience: instead of displaying the garments, they have been replaced with interactive installations. Luckily, some things never change, like the pleasure of a relaxing break, before or after your shopping spree, at Floret, on the elegant terrace designed by Patricia Urquiola, where you could stop for a Saturday brunch. Open Mon-Sat 10.30am-7.30pm; Sun 11am-7.30pm.